Our 42″ Instagram station offers even more than the standard one. 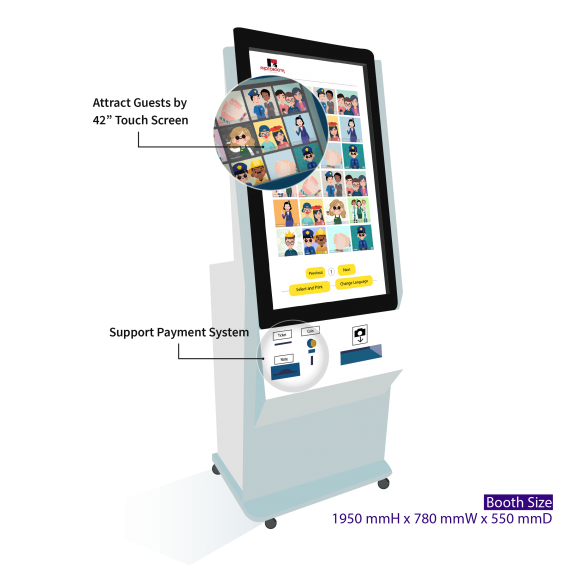 The featured 42 inches touch screen can certainly be the highlight of your event. Besides an unique event #hashtag bringing together all the event perfect moments, multiple templates function and payment system are available at your service. Snap, tag a hashtag and print. Easy as that. Who can resist?